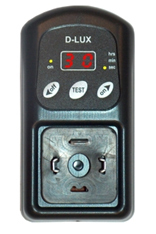 The D-LUX Timer is produced using SMT (Surface Mounting Technology), ensuring improved performance and consistency process. The unit offers true digital time cycle programming luxury. The D-LUX Timer is designed to fit all solenoid valves with connection type DIN 43650 – A/ISO 4400.